No, not that kind (sorry)! 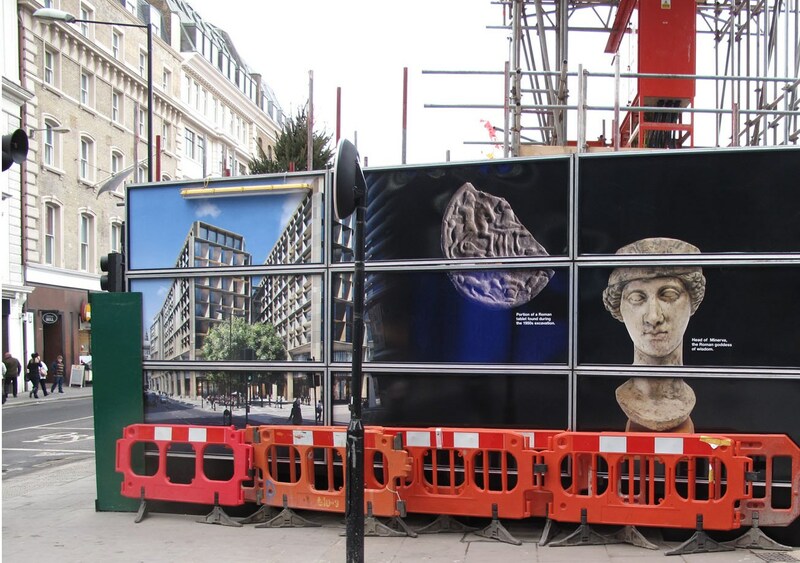 We are referring to the hoarding that encloses our site. Most people make-do with a sheet of plywood and a lick of paint, but anyone leaving Cannon Street station recently will have noticed that we don’t do things by halves. 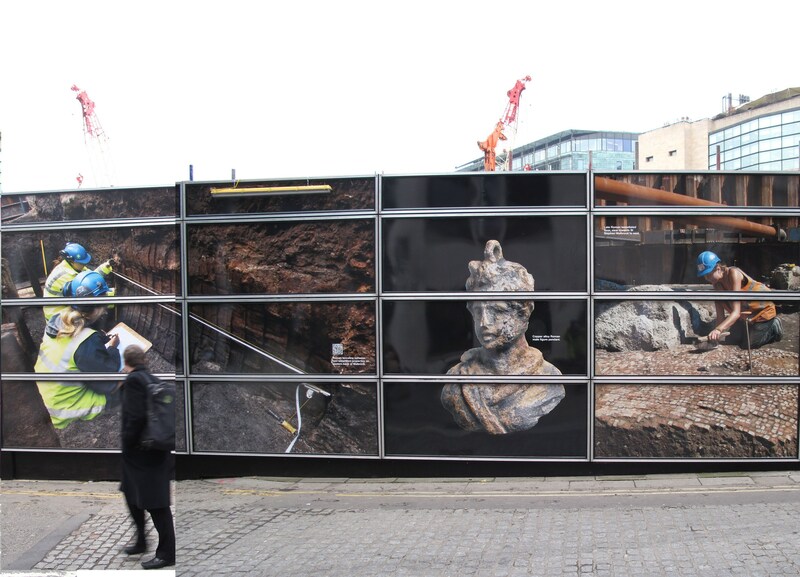 Extending down the Walbrook, the entire side is covered with pictures of our archaeologists at work on the various phases of excavation over the past 5 years. There are also a number of images from the excavations in the 1950’s and 1960’s as well as a selection of some of our best finds! 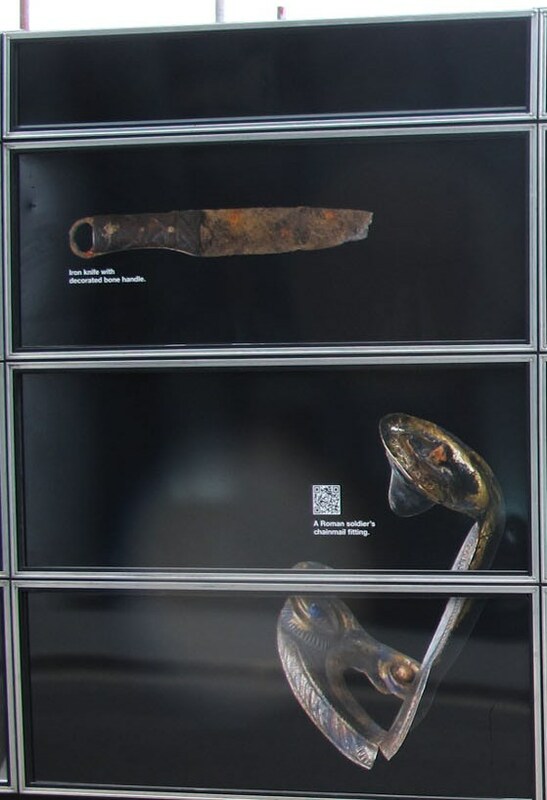 If you haven’t seen it yet then it is worth a short detour, and if you have a smart phone why not try out the QR codes, which take you straight to the relevant blog page!